Elegant cotton paper with a textured finish. Available in white, cream and blush. Named "Superfine" because of the soft, smooth finish. Available in white and soft white. 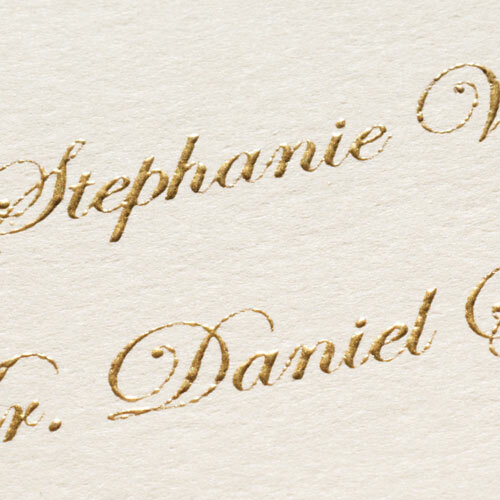 Luxuriously thick cotton paper, the perfect choice for letterpress printing. Smooth paper double mounted to have the thickness of a board. Available in white and cream. Gorgeous art designs provide a perfect foundation. The all foil process allows both artwork and personalized text to be printed in beautiful light-catching gold foil. The final printed piece is smooth to the touch and simply luxurious. 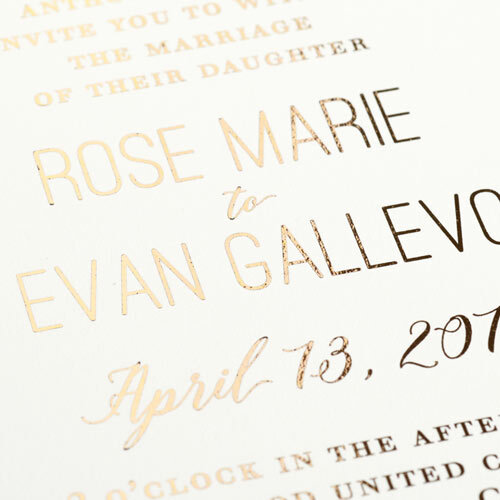 Gold, silver or copper foil designs are pressed onto the paper. Foil accents beautifully highlight a portion of the design with a brilliant, reflective appearance. Personalized text can be printed digitally or in thermography. 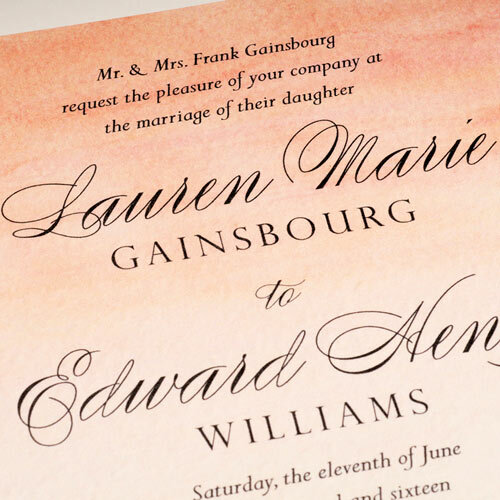 Letterpress is known for its timeless beauty and rich, tactile feel. 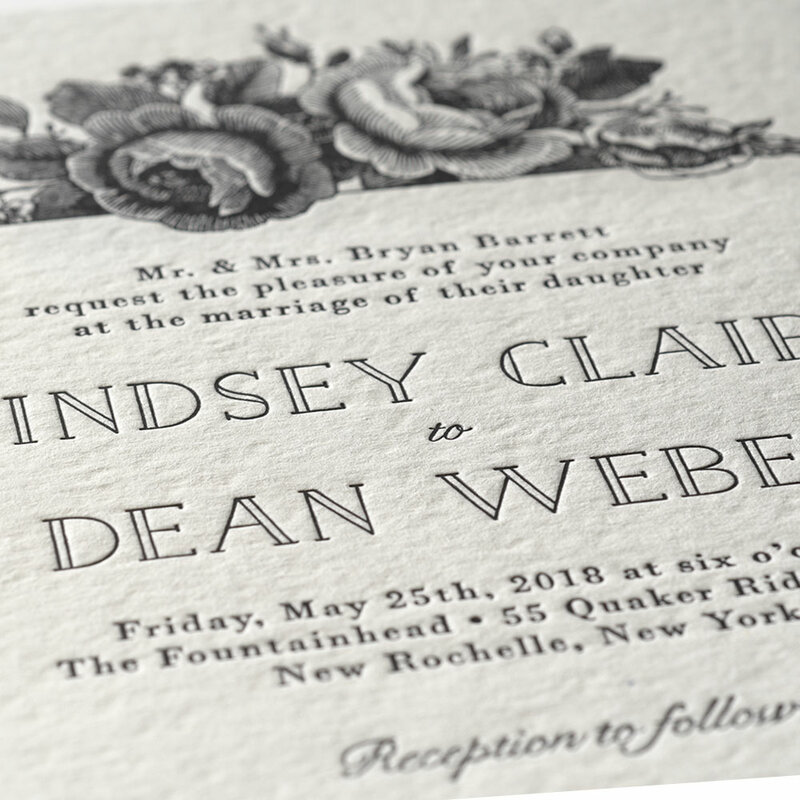 Type and image are pressed into the paper through the pressure of a clam-shell-like printing press, resulting in a textured imprinted surface. 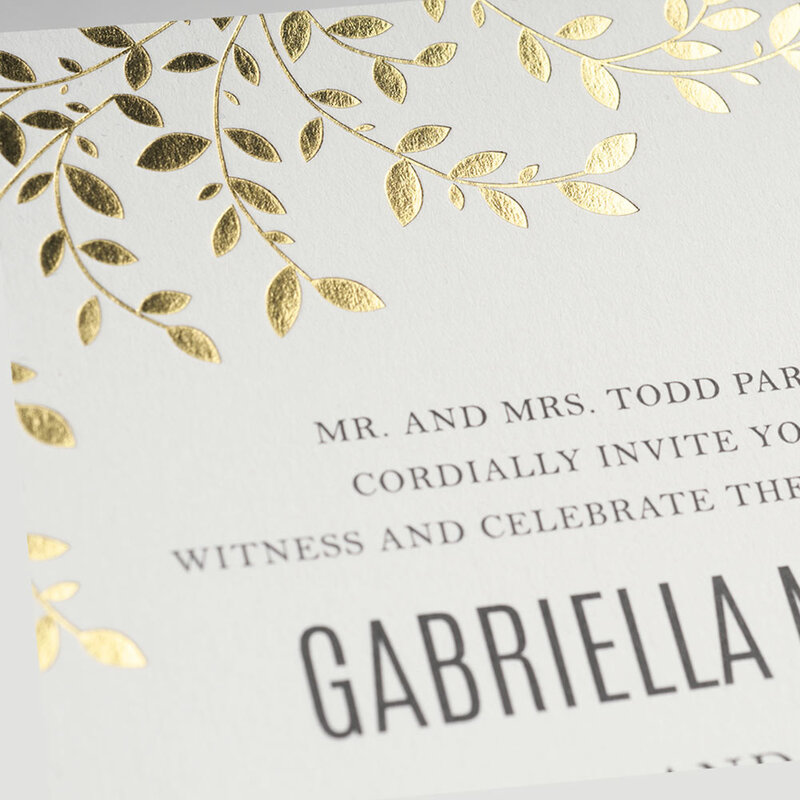 This cost-effective print method is a great option for all invitation styles. Digital printing allows for use of multiple colors with no added expense, and offers the faster production time of all print methods. Finished pieces are smooth to the touch. This classic print method creates a finished piece with a raised effect and semi-glossy ink. Available in several colors, including gold and silver ink.